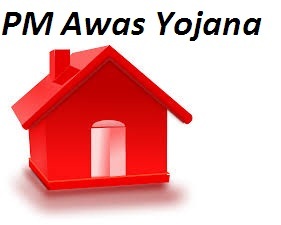 The Pradhan Mantri Awas Yojana aims to bring the poverty stricken and underprivileged into a housing scheme. For this scheme you will have to register online. This service is being provided by the Common Service Centers (CSCs). Recently the Ministry of Housing and Urban Poverty Alleviation has signed a Memorandum of Understanding with the e-governance services. They have enabled the facilities of CSCs for receiving the applications for the housing scheme. How will this affect the people? This collaboration will make sure that more urban poor have come under the Awas Yojana. This will encourage more people to participate as the hassles of a physical submission can be avoided. When people apply to the local bodies, there are a lot of protocols and unnecessary delays that carry forward. This is why the e-submissions can make the process faster and easier for the urban population. According to the authorities this will also “help plug the loopholes”, if any. This means that if anyone is trying to reject the claim of any person, it can be taken care of legitimately. The direct submissions done online will enable the concerned authorities to take effect immediately. Union Ministers Ravi Shankar Prasad and M Venkatesh Naidu specifically mentioned that all the processes can be carry forward without any “deviation” or “leakage”. This means that by making the whole process online, it can be carried forward with much fast pace. This will be beneficial for the people that are looking forward to get a home fast. It will also encourage new beneficiaries to apply. The CSCs are helping the government carry out a lot of interests. They are also helping the government for the Swachh Bharat Mission in the urban areas. Even in the future the government aspires to locate the CSC services to get the remotest part of the country. This is how the digital governance will be taken forward as a vision of the current Prime Minister. You might not be aware that several e-services are already available nearby you. How to find CSC in Kolkata? To find CSC in your location to apply for PMAY, visit this website http://gis.csc.gov.in/locator/csc.aspx . Here you have to enter your State, City and Block. After entering that you will be shown a list of names and addresses along with phone numbers to choose from. For example, if you are from Kolkata you will find about four Common Service Centers in Kolkata-Nielit. All these four have a unique CSC ID or code. They also have given the name of the contact person. Alternatively you can visit this website http://gis.csc.gov.in/locator/csc.aspx . It is the official website of the government where you can find the CSC in your city. The site was under maintenance when we tried to locate. If that happens, then try the previous method. I have taken loan from SBI Bank to purchase I BHK flat. You will visit any CSC in kolkata for availing this facility, before that you search required documents list in online, or if you unable to search, you can visit csc. Looks like government itself itself is clueless on this one ! The phase one period is about to be completed, but nobody knows anything the scheme. This can happen only in India. My annual income is Rs 480000 pa. I have taken a housing loan amounting to Rs 1200000.00 for 15 yrs term from a Co_operative bank in 2017 and construct the building in rural area. Let me inform whether I am eligible to get interest subsidy under PMAY? If so what is the procedure? Please inform me, it will be a great help. I HAVE BEEN ENQUIRING FROM JANUARY STILL NO ONE KNOWS ABOUT IT… I DON’T KNOW HOW TO APPLY FOR IT..
Sir I have already taken home loan from sbi,in the month of November 2017.but the bank did not tell any thing about the PMAY.can I apply for PMAY now.if yes please tell me how to apply for PMAY. It took whole day to fill the form and at the end i could see i am not able submit it. Submit button was not working. And once i refresh all data are vanished. I visited SBI bank near my native to open jan dhan yojna account for parents they asked what it is, even i was just heard of it saying this account help to get govt benifits so dint reply and came back. Dear govt, whenever u launch a scheme make sure every bank knows and make it compulsory for them to put add outside. You announce big budget infront of people and sanction huge amount but it will never reach to deserving people. If anyone knows the easy procedure to apply for this please let me know, many people at my village are homeless. I have taken home loan from axis bank on 22/12/2015.But lack of information and advertisement of awas yojna urban.I have register my flat only on my name .not on both me and wife .so the bankers not accepting my application for subsidy. This is first property. kindly give me subsidy on laon amount. I would request you to kindly help me with the process and how to go about it. hi this is arup kar from west bengal(kharagpur). i want to buy a house for my family .but how can i apply this scheem .i have account at allahbad bank and oriental bank of commerce.